Hang on a minute, I hear you saying, you’re going to be climbing Everest dressed as a rhino during the monsoon season? That would certainly be a first, but that’s not what I’m doing, for several reasons. For a start, that would be silly. But also, I’m not talking about the highest point above sea level, but the highest point from the centre of the Earth which, I’m sure you’ll agree, is a much longer distance. Chimborazo in Ecuador rises 6,310m above sea level, but because it is close to the Equator, where the Earth bulges as a result of its own rotation, its summit is the furthest point from the centre of the Earth. This has been proved mathematically, as I explained in a previous post which even included a formula for those of you who read my blog and are cleverer than I am (most of you). Edita and I reached the summit of Chimborazo in January 2016, and Edita was so taken by Ecuador that she decided to return there for her one-month contract break the following April. She was accompanied by Margaret Watroba, one of our 8,000m peak climbing friends and one of a handful of women to have reached the summit of Everest from both sides. “I’d like to do something that has never been done before,” Edita said to Javier Herrera of Andeanface, our expedition operator on Chimborazo. Margaret is a keen cyclist, and in his younger days, before he took up mountaineering, Javier was an Ecuadorian cycle champion. He suggested a Chimborazo sea to summit, involving a cycle ride from the coast to the foot of the mountain, followed by a climb to the summit (being familiar with Chimborazo, he didn’t suggest taking wheels to the summit, like the BBC Top Gear team). 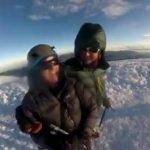 He had done this on Cotopaxi, Ecuador’s second-highest peak, but he didn’t think it had ever been done on Chimborazo before. 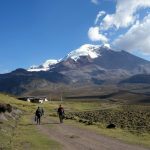 For one reason or another, Edita and Margaret’s Chimborazo sea to summit never happened, but they did go to Ecuador and have other interesting experiences, including another 7.8-magnitude earthquake. They had both been at Everest Base Camp when the 7.8-magnitude earthquake rocked Nepal in 2015. Edita tried to climb Chimborazo again by a less-frequented northern route, but the weather was atrocious. She wrote about these experiences in a series of blog posts while she remained in Ecuador working on the emergency response for the World Food Programme (WFP). We recently took the decision to move to the UK after a short spell in Italy, and this presented a good opportunity for another big trip, especially one that can provide material for a book. I have several book ideas up my sleeve, but they all involve extensive travelling, and are therefore long-term projects. 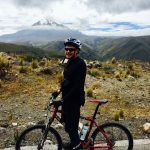 Our climbing and bike trip in Ecuador is one that enables me to gather the material more easily. I’ve explored Ecuador’s mountains on two previous trips, and the country has a rich mountaineering and exploration history. In the 18th century the French geographer La Condamine spent ten years in Ecuador measuring latitude on the Equator. The naturalist Alexander von Humboldt explored the country in the early 19th century, and made an abortive attempt on Chimborazo. Most famously from a mountaineering point of view, Edward Whymper explored Ecuador’s central Highlands in the 1880s and made many first ascents, including the first and second ascents of Chimborazo by two different routes. 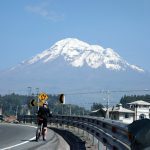 Climbing Chimborazo may not present a problem if we give ourselves enough time and conditions are favourable, but my cycling expertise is another matter. I did learn to ride a bike when I was a small child, but I haven’t cycled much since then. I rode a bike for a year when I worked in Cambridge, but that was over 20 years ago and I was knocked off three times by motorists or pedestrians. I got rid of my bike when I moved to London. The trouble with cycling from sea level to the higher altitudes of Ecuador’s central highlands is that I don’t have cyclists’ leg muscles, and when I get to a steep hill I usually have to get off and push. 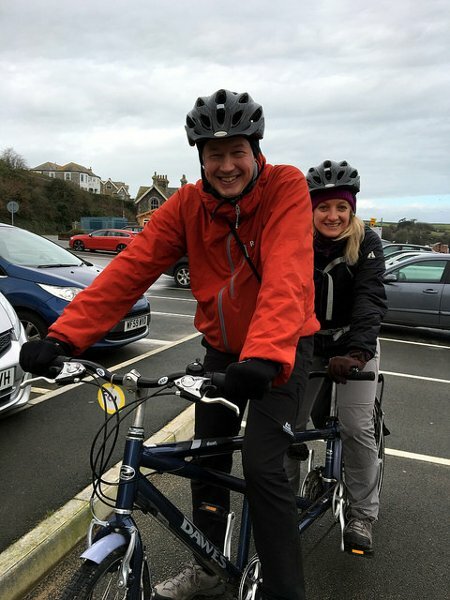 You’re probably thinking that this lack of basic cycling competence is hardly conducive to completing a world first. But I see it as more of a virtue than a problem, in that it will provide more interesting material for a book. In the same way that Seven Steps from Snowdon to Everest focused on my climbing inability, this book will be able to devote no small number of pages to my cycling ineptitude. Many people embarking on a momentous expedition like this one, would be out on the bike every day, putting in many weeks of training. But I didn’t want to modify the technique of not doing any training that has worked for me until now. Instead, we’ve decided to hire some bikes and go pedalling around Scotland for a couple of weeks. I’m hoping this will fix some of my shortcomings, and have the additional benefit of being quite fun. There is also a touch of serendipity in our choice of warm-up ride. When I was back in London last month attending Kenton Cool’s lecture in aid of the Himalayan Trust, I bumped into an old friend, Angus MacDonald, who is one of the Himalayan Trust UK’s trustees. Angus is Scottish (with a name like that? You don’t say! ), and happens to be a keen cyclist. By coincidence, I first met him a few years ago on another mountaineering trip to Ecuador. Angus recommended the North Coast 500, a long distance cycle route around north-west Scotland that passes some good hill walking areas such as Torridon and Ullapool. Hopefully we’ll be able to climb a couple of peaks en route, and introduce Edita to her first Munro. When announcing a project like this weeks in advance and describing it as a ‘first’, there is always a risk of looking foolish. Not only could we fail to achieve our objective, but somebody else could sneak in and do it before us. If this happens then I don’t mind. 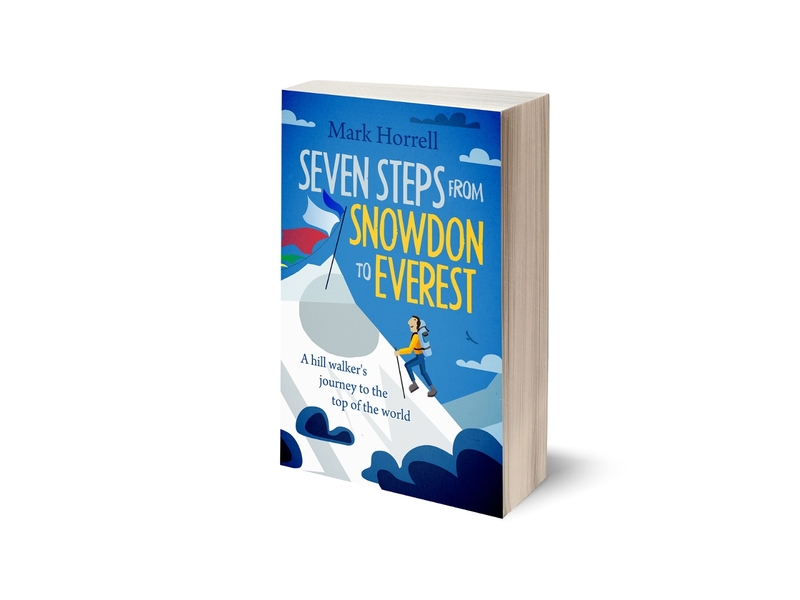 Whether first, second or 318th (speaking as the 318th Brit to climb Everest), for me it’s all about the story rather than the position across the finishing line. Whatever happens, I’m sure there will be plenty of interesting things to write about. Cycling literature is a more mature genre than mountain literature. Rank amateurs writing about cycle road trips in a humorous style have been around for a while now, but some readers of mountaineering literature are not quite ready for that yet. I hope this adventure will help my books t0 find new readers, and I also hope that it won’t take three years to write this time, like Seven Steps from Snowdon to Everest. Writing gets easier with practice. But working five days a week to earn a living inevitably slows things down, and I’m sure I will have to do this too. In any case, I will be trying out sample material on this blog, so I hope you will come back to read it. The blog will take a different shape for the next few weeks. I won’t have too many opportunities to write full-length posts. There will be no blistering analyses, biting satire, or hairdryer rants about the mainstream media (there’s this guy on Twitter @realDonaldTrump doing those anyway). I will be sending short expedition dispatch-style posts from time to time, whenever I get the opportunity. These will allow you to get your regular fix of my jokes without having to buy a box of Christmas crackers. The things you get up to. It’s a bit like George Plimpton, with beer. 🙂 I’m really looking forward the upcoming posts! 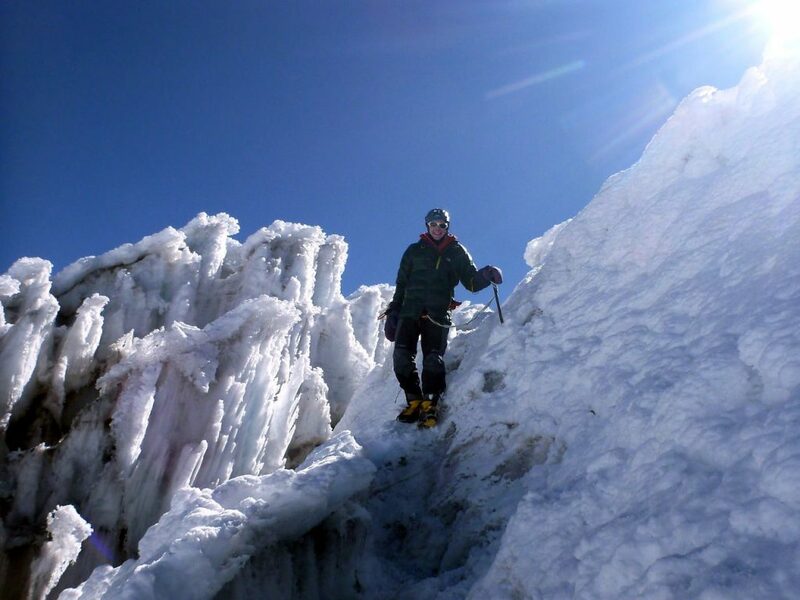 Chimborazo’s is one of the most beautiful mountain peaks and it,s really good and adventurous place. “Ecuador” is one of the most beautiful countries with various landscape and mountain range. I love cycling in natural beauty, it gives me real peace. I doubt that this is a first though – a few cycle tourists carry also mountaineering gear on their travels through the Andes and summit plenty of peaks on their way. When we did it, we met at least two who had done this very same thing, though not necessarily from Ecuador’s sea level. Good luck! Ha, maybe you’re right. In that case I’ll just wear a clown’s head. That should make it a first. Actually, I’ll pick up a Panama hat and an “I love boobies” tee-shirt in Quito. That will give my costume more of a local flavour. Whymper made the first ascent of Chimborazo with (maybe thanks to) Jean-Antoine Carrel, the remarkable Alpine guide who was climbing Monte Cervino when Whymper climbed the Matterhorn; as any fule kno Cervino and Matterhorn are two sides of the same mountain. Just as Carrel and Whymper represent two sides of the mountaineering culture…. Whymper came to Valtournenche, Carrel’s village at the foot of Cervino, expecting to attempt the first ascent with J-A Carrel but was told that Carrel had already set out for the mountain with Italian clients. Whymper dashed over to Zermatt on the Swiss side (which means about 12 hours hard walking up the valley to the 3000m crest then 3 hours down the glacier to Zermatt), scraped together his ill-fated party and set off up the Hornli Ridge to glory. Whymper said later that he looked down from the Matterhorn summit and saw Carrel en route; he said that he tried to attract Carrel’s attention so that he would know he needn’t continue his ascent (because the prize had been snatched by the cackling EW). Carrel claimed that his party was forced to abandon their climb when murderous ruffians threw stones at them from a great height. Sorry, Mark, you were telling us about your boobies, I think….